Quarto have just published the transcript of a great interview with Ifeoma on the creative background and approach to A is for Africa. On the Quarto Kids blog Ifeoma tells the story of how the original idea, text and images were created. ‘The idea for A is for Africa came to me when I was reading a very boring book to my son, then aged two. We had gone to our local library hours earlier in search of books set in Africa and found lots on wild animals and jungles, but nothing on African people or our culture‘. In her narrative Ifeoma laments the slow decline of traditional storytelling and games in cultures across the globe. 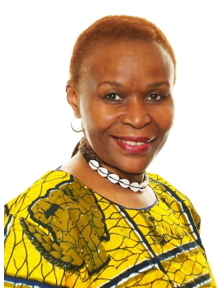 In Ifeoma’s work, school visits, lectures at conferences and events she works hard to keep knowledge and understanding of these formative creative elements in the lives of children alive and well. You can see from the item above, about a new photographic exhibition in Islington, that conversations about family, childhood and the role of women in society are great ways to foster and encourage interest in an Africa not often seen in the headlines or news broadcasts. 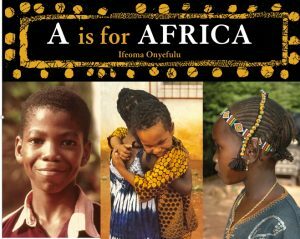 A is for Africa is published by Frances Lincoln Children’s Books and you can buy the title from Ifeoma’s Amazon book shop here. You can visit the pages of Quarto Kids for updates on Ifeoma’s A is for Africa and other great children’s titles here. See you at the library in Islington next…?